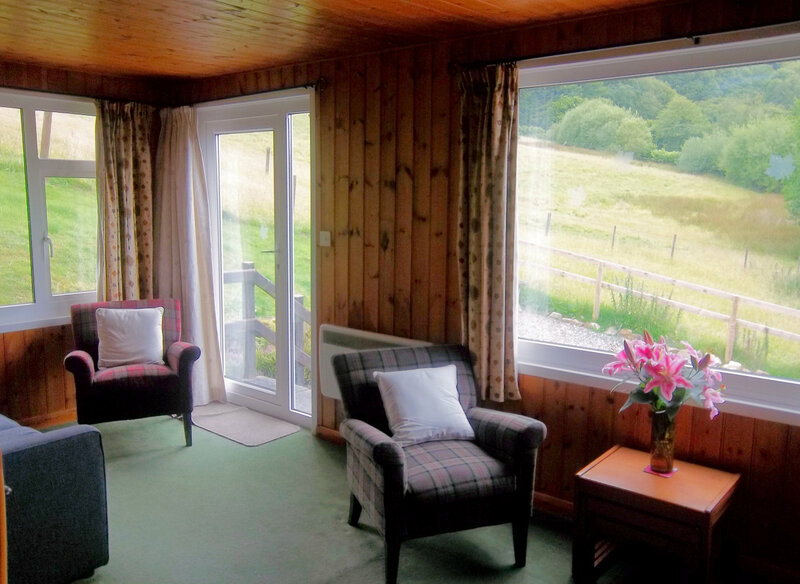 A comment taken from our visitor’s book reads, “Tyn-y-Castell is attractively furnished and very well equipped. It is a real home from home”. Mrs. Harris. Basingstoke. We think you will agree. 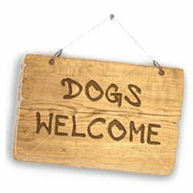 Pets are very welcome at Tyn-y-Castell and at no extra charge. We would ask you to respect the usual courtesies of not allowing them on the furniture and cleaning up the garden before you leave. There is a good fence round the garden and lots of lovely walks for them to enjoy but they must be kept under control to protect wildlife and farming. 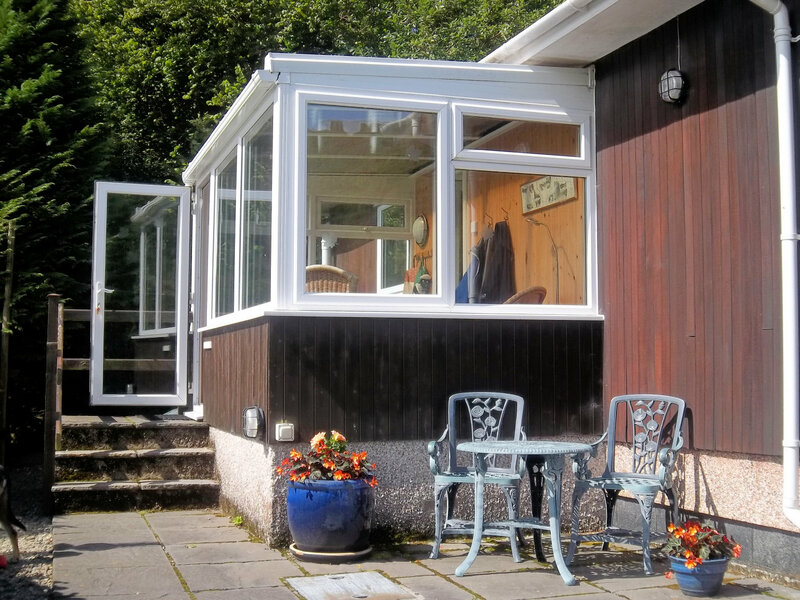 Has big picture windows and a door leading into the garden. 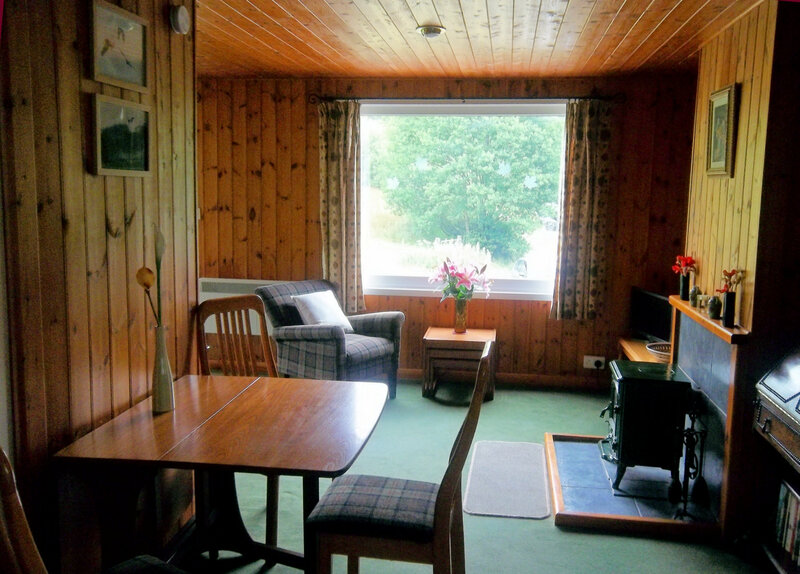 The walls are attractively wood panelled and the furniture is comfortable. There is a small television, a phone with an honesty box and a bureau with lots of maps, walks and literature about local attractions. 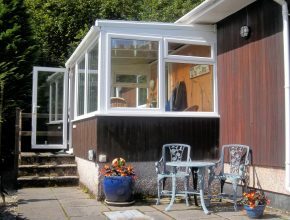 We have put in a wood-burning stove, which is just to add a cosy atmosphere, as the chalet is really warm with night storage and convector heaters providing adequate heat throughout. Logs are provided. 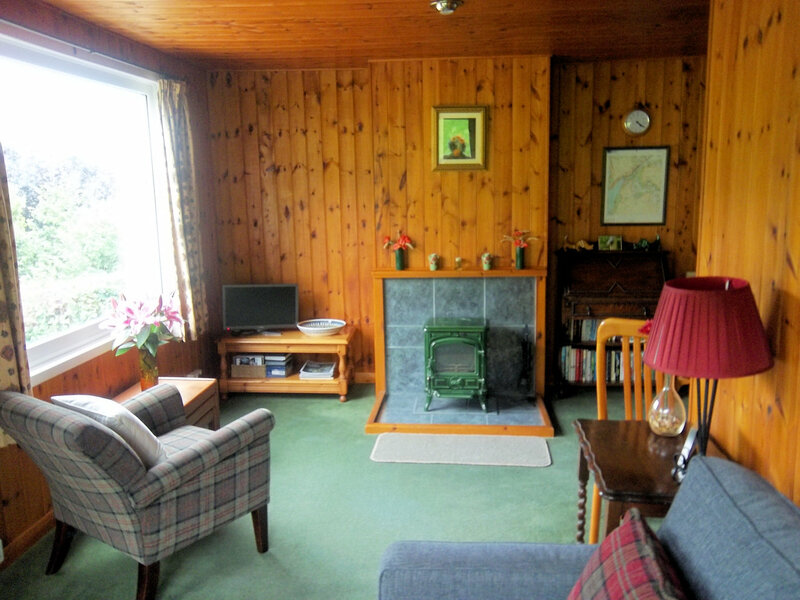 The sitting room leads to….. 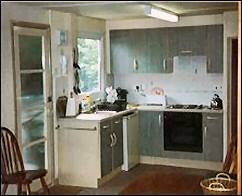 The kitchen has a fridge, cooker and microwave; lots of cutlery, attractive crockery, and is generally well equipped. 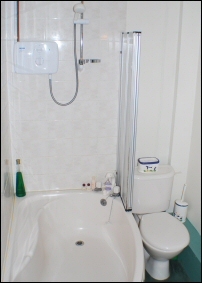 The Bathroom has a wash basin, WC and bath with an over bath electric shower. There are two bedrooms. One with a double bed and one with an adult size bunk bed. 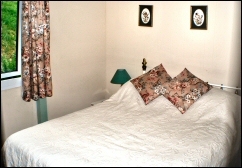 Duvet and pillows are provided but you have to bring your own sheets and towels.